Today we were able to play our first game of Fields of Despair France 1914-1918 by GMT Games. 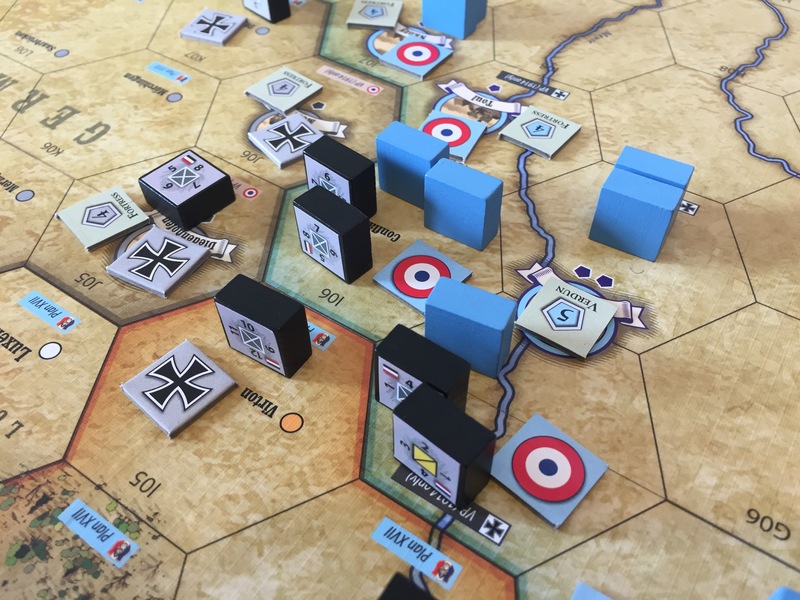 This block Wargame covers the conflict known as The Great War or World War I and concentrates on the battle on the Western Front. The Eastern Front and the War at Sea are abstracted but are very well done and enjoyable. 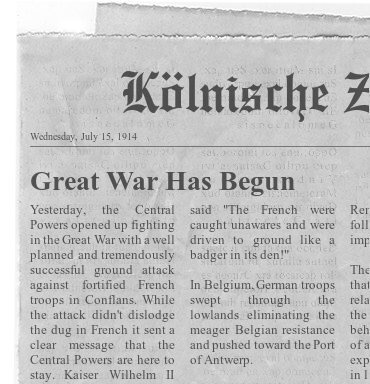 In our game, I was playing as the mighty Central Powers and with my opening move took the fight to the Allies who were dug in behind a fortified line of fortresses. I set my sights on Conflans and Verdun. With the game in the hands of eager players, unboxing videos are beginning to pop up. Drop me a note in the comments if I miss any. Here is a page from the solitaire section of the playbook which gives you an idea of how far the examples of play have some. At bottom is the Central Powers side of the Solitaire Player Aid. The Playbook has a 14-page solitaire section that walks the player through the process in greater detail. The player aid should be all you need after a couple plays. I have finished stickering blocks and punching counters. Here a snapshot of everything you’ll find in the box. I just returned from GMT West. Not so lucky. I want to send a HUGE thank you out to the Canadian War Museum staff who were very easy to work with when acquiring the permissions to use the Richard Jack masterpiece. Development is rolling on at a fast pace. I’m excited to have the extended examples of play in the hands of proofreaders. You’re going to find them concise and easy to understand. It won’t be long before GMT works their layout magic and we’re proofing the final Playbook! Here’s a peak of my draft (not GMT Final work). Today I am proofing the solitaire game with it’s own set of rules and guides. This is an aspect of the game that is very unique. An AI that plays a block game against you is uncharted territory. I’m excited to get this in the hands solitaire wargamers and let them see just how hard it is to push the German Army from France! That’s all for now. Back to proofreading!